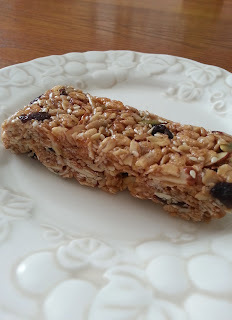 Homemade granola bars, where have you been all my life? 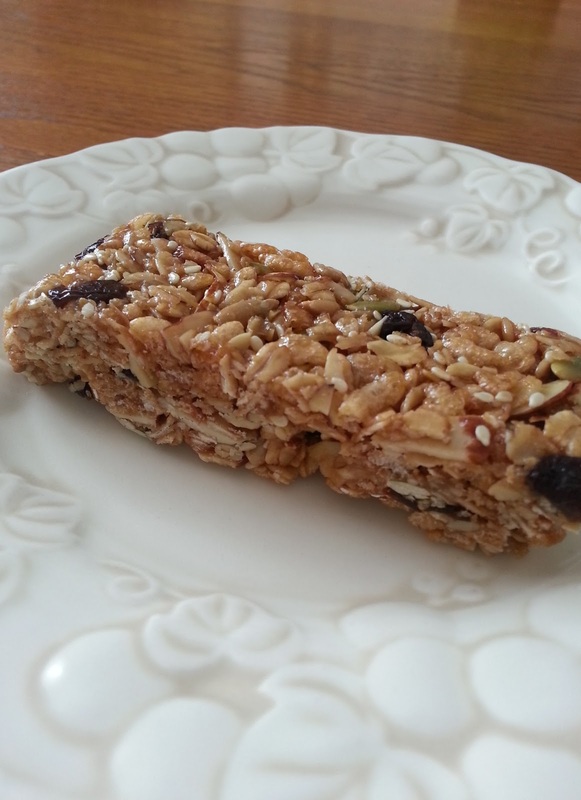 I found a variation of this recipe on the back of a bag of rolled oats a few years ago. It is quick. It is easy. It is oh-so yummy! So much so that I doubt I will ever purchase granola bars again. Combine butter, honey and brown sugar in a large pot. Over medium heat stir to combine and melt ingredients. Have your kids help you measure out the dry ingredients into a large bowl. When the mixture in pot begins to bubble, add dry ingredients and stir well. Cook approximately 7 minutes until mix is golden brown, stirring constantly. Lower heat if necessary to avoid over-browning. Press down firmly into a 9x13 pan that is lightly greased or lined with wax paper. It should be about a half-inch thick. Cool completely before cutting into bars. Wrap each bar in plastic wrap. I am forever spoiled. How about you? Share your favourite variations below.